If you're wondering how to cleanse your colon, you may be looking for information on popular methods such as taking supplements, using laxatives, or visiting a colon cleansing clinic. However, at best, these methods may not be necessary and, at worst, they can potentially be harmful to your health. If you like the idea of "cleansing" your body, and of course, doing so safely, you need look no further than the produce and bulk food aisles of your local grocery store. Part of why so many people are plagued with a bloated, constipated feeling, the very feeling that leads them to consider colon cleansing, is a poor diet. Without proper nutrients, natural whole foods, and plenty of fiber and water, the digestive tract doesn't function optimally. Increase the servings of vegetables and fruit you eat. Aim for 8 to 10 servings daily. This may sound like a lot, but it's doable. Add fresh or frozen blueberries, blackberries, or raspberries to your morning cereal. Snack on vegetables dipped in hummus, or fruit plus a handful of nuts. Make all your grains whole grains. Don't be fooled by color. Just because bread is brown, does not mean it's whole grain. Look for the word "enriched" in the ingredient list. If you see this word, it's not whole grain. 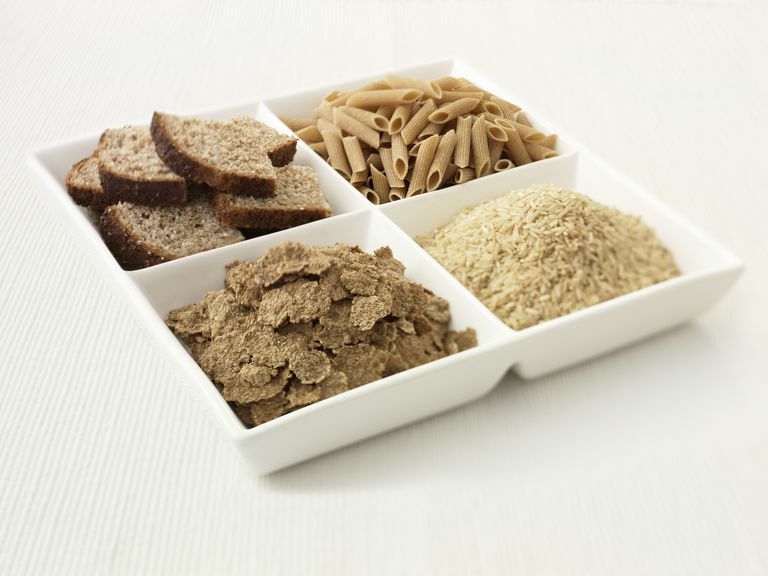 Focus on adding non-bread sources of whole grains. Brown rice, barley, quinoa, oats, millet, rye, spelled, buckwheat, amaranth, and other new-to-you foods are great sources of fiber as well as vitamins and minerals your diet may be lacking. Try "flipping" the food pyramid. You may be familiar with the food pyramid, which shows grains as the foundation. Instead, make fruits and vegetables the foundation of your diet, followed by grains, then protein foods (beans, fish, eggs, poultry, meat). Make sweets just an occasional treat. Flax-i-fy your diet. Ground flaxseeds are one of the best ways to improve digestion and elimination by helping move stool out of your system. Try ground flax sprinkled on your cereal, salads, oatmeal, or yogurt. This is one of the single most effective ways to improve your body's ability to eliminate waste. Drink more water. Water, plain and simple, will make everything in your body function better, including your digestion and elimination. Don't worry about the old advice that you should drink eight, 8-ounce glasses a day. Instead, use the color of your urine as a guide. If it's pale yellow or straw-colored, you're getting enough water. If it's any darker than this, drink up! American Cancer Society. Cancer Prevention. American Cancer Society. Colon Therapy. American Cancer Society. Nutrition and Physical Activity During and After Cancer Treatment. American Institute for Cancer Research. Diet & Cancer.